I woke up on Monday morning to Ian Stewart of Deloitte on the Today programme telling me that the biggest worry for corporate CFOs was next year's election and an EU referendum. Their fears have also been covered elsewhere in the media. Yet just last month the annual PRWeek and Brands2Life survey of comms directors showed that political risks were the least of most comms directors’ worries. That suggests those spending the budgets aren’t as worried as those handing them out. So what’s going on? What are one set of senior managers seeing that the others aren’t? And who’s right? What this points to is two completely different ways of looking at what politics means for businesses. The CFOs see the 2015 general election bringing a "risk of policy change and uncertainty". Where there’s uncertainty and risk, there’s a threat to the share price and/or value of the business. A threat that, in the view of the CFOs, is bigger than interest rate changes or Eurozone volatility. Politics and politicians definitely matter right now if you’re a CFO. Comms directors, on the other hand, are more likely to view politicians as just another set of stakeholders to be managed, and lower down the list than most. It’s reasonable to conclude that if four times as many comms directors are worrying about their company’s news than about what MPs think of them, it’s because they don’t think that MPs views’ matter much. But this is where the disconnect has happened, because politicians aren’t just any old audience, even in terms of corporate comms risks. A huge proportion of the news agenda is driven or shaped by politicians and governments, and this is even more true of business news. 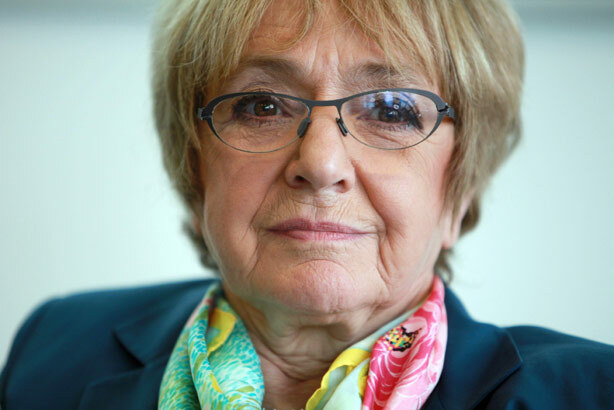 Through astute use of the media, Labour MP Margaret Hodge helped drive customers away from Starbucks, forcing one of the world’s biggest brands to change the way it did business in Britain. Its reputation took a battering, and so did its bottom line. Starbucks is by no means alone: firms such as G4S and Serco have gained terrible coverage, seen shareholder value washed away and then lost contracts as they came into the political firing line. Politics and politicians create clear and present dangers to a company’s day-to-day news and corporate reputation, and to their bottom line. So even in day-job terms, comms directors ought to be worried about politics. And the risks will only get worse in the febrile environment in the last ten months before the 2015 election. We can be very sure that a few big brands are in line for a big kicking in the media between now and next May, egged on by politicians. Overlay that with the risks a change in government brings – a very real possibility – and you have the uncertain business environment that keeps CFOs awake at night. If politics ever was separate from corporate comms, it isn’t now. Politics creates significant reputational and business risks that need to be managed, and it tends to fall to comms directors to do that management. If they don’t, someone else in their organisation will try to. And, moreover, when those holding the purse strings are worried about something in their remit, comms directors are in a pretty strong position to make the case for budgets.